Bifidobacterium breve in premature infants…Really no benefit? It’s early morning on the Maine coast, and as I do my usual “thing” and look at my social media feeds I see a pattern on Twitter: dozens of people have either written about or retweeted references to a Lancet study showing “no benefit for Bifidobacterium breve in premature infants”. Well, that sounded unlikely to me, so I started to drill deeper into the information. First, it is important to state that several prior studies have found that Bifido does indeed help; a review of the studies by Baucells had the same conclusion. There is a very obvious major problem with the logic behind the study saying there is no benefit, and I’m going to point it out in a moment. Let’s look at a bit of background for anyone not familiar with the issues discussed. Our bodies are colonized by trillions of symbiotic bacteria, and they help to build our immune system and keep our gut healthy (along with many other critical functions). Premature infants face several challenges, including necrotizing enterocolitis-an inflammatory infection of the intestines that is often fatal. The colonization of the intestines with symbiotic bacteria begins prior to birth, but really progresses after normal birth because of ingestion of a starter culture of vaginal bacteria and breastfeeding, which provides needed prebiotics (substances that feed beneficial bacteria) present in breast milk. Not breastfeeding is a risk factor for an abnormal gut bacterial population, as is birth by c-section, as both rob the infant of the mother’s bacteria. Premature infants often face both challenges. The research study in question examined the use of a strain of Bifidobacterium breve in premature infants to reduce the incidence of necrotizing enterocolitis. The probiotic was added to dilute elemental infant formula, with the control group receiving only the formula. There was no benefit found to the introduction of B. breve in this manner. This finding has been trumpeted across the Twitterverse since the study was published, usually with the title just saying there is no benefit. The first issue is that infant formula has already been shown to be inferior to human breast milk for the prevention of necrotizing enterocolitis (Hay). Why use infant formula instead of human breast milk? Apparently this is quite common, which astounds me. With the hundreds of thousands of dollars in equipment and training involved in premature infant care, human breast milk is not routinely used although it reduces fatal infections? I was actually a little shocked by this, but considering the anti-breastfeeding bias that still exists for some reason, it may not be so surprising. Corporate influence on the birth process has long promoted formula over breast, against all scientific logic. The second issue is related to the first. 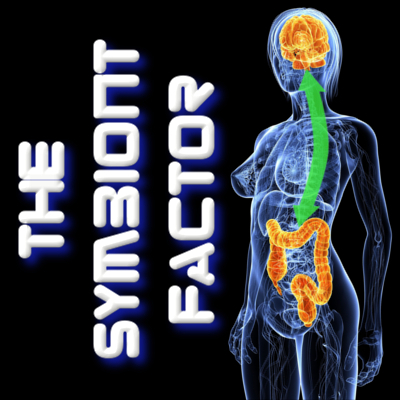 One of the basic foundation concepts of probiotic interventions that is familiar to any health practitioner versed in symbiont-based health strategies is “Seed and Feed”. Adding beneficial organisms and then not feeding them does not work as well as nourishing them after their introduction. Sounds simple enough, right? Studies have already been done showing that formula and breast milk are quite different in their effect on symbiont organisms (Liu) with breastmilk being superior. Another study (Repa) showed that probiotics prevented necrotizing enterocolitis in infants fed breastmilk but not in those fed formula. Another study (Yao) found that adding Oligosaccharides (a prebiotic) to infant formula raised Bifidobacterium levels in those infants. So, in summary, this study found that the introduction of Bifidobacterium probiotic to a premature baby receiving formula of no nutritional benefit to the organism was of no benefit. And this is somehow considered newsworthy? The concepts behind “seed and feed” are not revolutionary, complex nor undiscovered. It isn’t rocket science; if you don’t feed the organisms they do not survive. Yet, the articles referring to the study simply state “Bifidobacterium of no use in premature infants”…..which is simply not true, even if it is “on the Interwebs”. Bifidobacterium breve BBG-001 in very preterm infants: a randomised controlled phase 3 trial. Costeloe K, Hardy P, Juszczak E, Wilks M, Millar MR; Probiotics in Preterm Infants Study Collaborative Group. [Probiotic associations in the prevention of necrotising enterocolitis and the reduction of late-onset sepsis and neonatal mortality in preterm infants under 1,500g: A systematic review]. Baucells BJ, Mercadal Hally M, Álvarez Sánchez AT, Figueras Aloy J. An Pediatr (Barc). 2015 Nov 20. doi:pii: S1695-4033(15). 10.1016/j.anpedi.2015.07.038. [Epub ahead of print] Spanish. Effects of term infant formulas containing high sn-2 palmitate with and without oligofructose on stool composition, stool characteristics, and bifidogenicity. Yao M, Lien EL, Capeding MR, Fitzgerald M, Ramanujam K, Yuhas R, Northington R, Lebumfacil J, Wang L, DeRusso PA.
J Pediatr Gastroenterol Nutr. 2014 Oct;59(4):440-8. doi: 10.1097/MPG.0000000000000443. Probiotics (Lactobacillus acidophilus and Bifidobacterium bifidum) prevent NEC in VLBW infants fed breast milk but not formula. Repa A, Thanhaeuser M, Endress D, Weber M, Kreissl A, Binder C, Berger A, Haiden N.
Pediatr Res. 2015 Feb;77(2):381-8. doi: 10.1038/pr.2014.192. Epub 2014 Nov 25. Human Breast Milk and Infant Formulas Differentially Modify the Intestinal Microbiota in Human Infants and Host Physiology in Rats. Liu Z, Roy NC, Guo Y, Jia H, Ryan L, Samuelsson L, Thomas A, Plowman J, Clerens S, Day L, Young W.
Strategies for Feeding the Preterm Infant. This entry was posted in Uncategorized and tagged B. breve, bifidobacterium, breast milk, breastfed, breastfeed, breastfeeding, breatfeed, formula, lactobacillus, microbiome, NEC, necrotizing, prebiotic, preemie, probiotic, symbiont, symbiotic, synbiotic on December 27, 2015 by Dr. Richard Matthews.